“Yeah, Aaron’s dad gave us kefir that he made, it tasted really good but then we were all sick the next day.” A friend explains his first experience with probiotic-rich naturally fermented water kefir to me. Some people take probiotics, or probiotic-rich fermented food, and then assume that they’re allergic to it, or it isn’t good for them because they have a reaction. 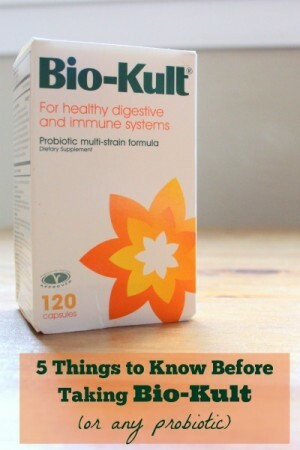 Today I’m going to share 5 things you need to know before taking a high-quality probiotic. I’ve gotten lots of questions about what probiotic I take lately, and I feel like I need to explain a little bit as I recommend probiotics. I take Bio-kult (I buy it on Amazon), it’s recommended by Dr. Natasha Campbell-McBride, and it’s worked well for our family. There are lots of quality probitics, but I personally stick with this one and Blue Bonnet Acidophilous just because they’ve worked well for our family. I have trust issues with supplements, and I will only take supplements when I can see a noticeable difference when I take them vs when I don’t. I have tried a few drugstore brand supplements (usually picked up alongside an antibiotic prescription) in the past, and I didn’t see a difference when I took them vs when I didn’t, and I wouldn’t be surprised if they didn’t actually have any live probiotics in them. If you’re not seeing a difference in physical or mental symptoms (everything from eczema to anxiety can be tied to gut health and probiotics) I would encourage you to re-evaluate the kind that you’re taking. If you’re taking Bio-Kult, here are the things I want you to know first. When starting Bio-Kult, or another high strength probiotic, start with just a dusting – about 1/10th of the capsule, once a day. Every few days increase your dose until you achieve the dose you want to stay at, or your symptoms stabalize. If your symptoms are exacerbated, go down to a lower amount and try again in a few days or a week or a month – it’ll be very individual. I have worked the kids up to take 2 capsules a day (I open them and put them in applesauce cups), I take 4. I have the baby just take acidophilous, I think that Bio Kult is too aggressive for him, and he can get some through my milk. I started him on acidophilous when he was about a week old and was spitting up often, it helped with the spit up and I’ve kept him on it. I’ve heard of people being stuck at just 1/10th the capsule of Bio Kult for months at a time – more is not always (or even usually!) better. The most common ‘side effect’ (I put that in quotes because it’s not really the same thing as a side effect from a pharmaceutical drug) from starting Bio Kult too fast is constipation – this is because the aggressive strains of beneficial bacteria go to work killing off the bad bacteria. This dead bacteria then is in your colon, and your body can’t keep up with getting it out, so you get stopped up. Another ‘side effect’ is often stomach upset. When the pathogenic bacteria are killed off, they release toxins into the blood stream and the body can have a purging response to this – trying to get rid of the toxins in any way possible. Hopefully I haven’t totally scared you off from using a high-quality probiotic – they are tremendously useful in reestablishing a healthy digestive tract, but they also need to be treated respectfully. Just because something is natural and good doesn’t mean that you should take high doses! And with billions of beneficial microorganisims in each tiny capsule, it’s easy to take more than is beneficial at this specific time! 2. Don’t neglect probiotic-rich foods. Even though commercial probiotics contain many strains of beneficial bacteria, naturally fermented food like sauerkraut, contain even more. Don’t fall into the trap of neglecting the beneficial microorganisims available to us through food in favor of just taking a pill. Try to include probiotic-rich food with every meal. As we talked about in #1, when the good bacteria start killing off the bad bacteria in your gut, a bunch of toxins can be released into the blood stream. We want to clear all this bad stuff out as soon as possible, so do what you need to do to prevent constipation. Some things that will help: Start slow with probiotics to manage die off, epsom salt baths (see #4), drinking fresh juice (without the fiber – the dead bacteria is already providing plenty of bulk for your poop), using a squatty potty for good poop-posture, and making sure you’re drinking enough fluids. 4. Make sure you’re using epsom salts in the tub. To process toxins being released by killing off the bad bacteria, our body needs sulfur and magnesium, both of which many of us are deficient in. An easy way to get these minerals gently is through epsom salt – through the skin, not the digestive tract. Adding 1/2 a cup or 1 cup of epsom salts (they’re cheap, and found in the pharmacy section of nearly every grocery store or stores like CVS) to your bath – or just plugging up the tub portion of the shower and standing in epsom-salt water while taking a shower – will increase your magnesium and sulfur so that you can detoxify. 5. If you take too much, take a charcoal. I started taking Biokult a little less than a year ago and had no noticeable die off or negative symptoms. At that point I wasn’t taking it consistently. Once I found out I was pregnant I started taking one capsule a day. After a little while I got a sore throat that wouldn’t go away. It didn’t feel like a sore throat from a cold so I checked the biokult box and it says contains milk and soy. I was surprised since I know Dr. Natasha Campbell-McBride recommends this for GAPS. I am sensitive to dairy and get sinus symptoms if I have some (stuffed up, post nasal drip, and sore throat). I was also very fatigued, which at first I attributed to begin pregnant. When I stopped taking the biokult both the sore throat and fatigue went away. I should note that I have issues with histamines and fatigue is one of the side effects I experience. Anyway, I’m disappointed because like you, I also have trust issues with supplements and thought I found a trusted probiotic that worked for me. Any thoughts on if a lowered dose like you recommend might help? Or do you think a different probiotic would be best? If so, any recommendations for another brand? Hi All, yes i also noticed the same thing. Since my son has the same allergies i switched him toProbiota Sensitive from Seeking Health. It works wonderfully without dairy and soy. This is a topic of much interest to me – I have Lyme disease and am having to seek more aggressive treatment. I’m worried about the possibility of C. Diff if I have to go on heavy antibiotics (I haven’t taken any in years since I had a bad reaction last time I did – I was on a low dose one for rosacea for six months, and when I stopped it, I was hit with a yeast infection that took literally months and many rounds of aggressive treatment to get rid of). I am currently taking VSL#3 myself on the recommendation of my integrative doctor, and I used to take BioKult. Our 10 1/2 year old daughter was taking 2 caps a day but we recently ran out and I haven’t ordered any more yet – now I see it has dairy and soy in it. What would you recommend from the Custom Probiotics site for a 10 1/2 old (she can swallow small capsules like the BioKult ones)? Also, would you have any suggestions for me? Thanks so much in advance. 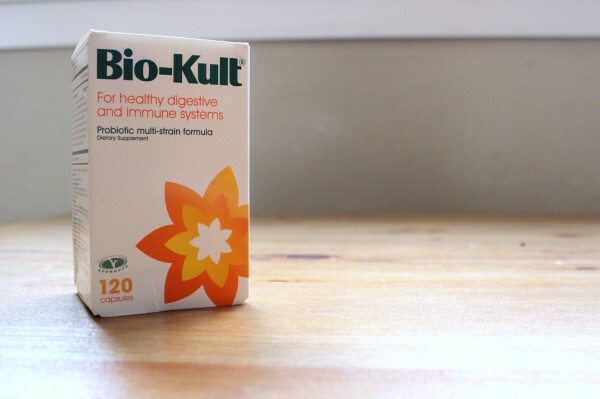 Bio-Kult does not contain milk and soya as active ingredients but each of the specific probiotic strains need various nutrition sources to aid in their growth in culture. Cow’s milk and soya are used in the fermentation (manufacturing) process, and although it goes through a filtration process a number of times, there can still be very small traces of this in the product. This is very common with many probiotic formulations (but is not essential to include on the box). As the Bio-Kult may therefore contain traces of milk it would not be suitable for those with a severe milk allergy (to the milk protein casein). However, tests have shown that many of the strains produce lactase, the enzyme deficient in lactose intolerant sufferers necessary to breakdown lactose (the milk sugar). Bio-Kult is therefore suitable for those with a lactose intolerance. On testing the Bio-Kult, it has been found that the amount of soya is below the lower limit of detection (so may not be present at all) and the amount of lactose has been found to be less than 2%. Only non-GM ingredients are used. Thanks once again, and if anyone has any further questions I’d be happy to help! 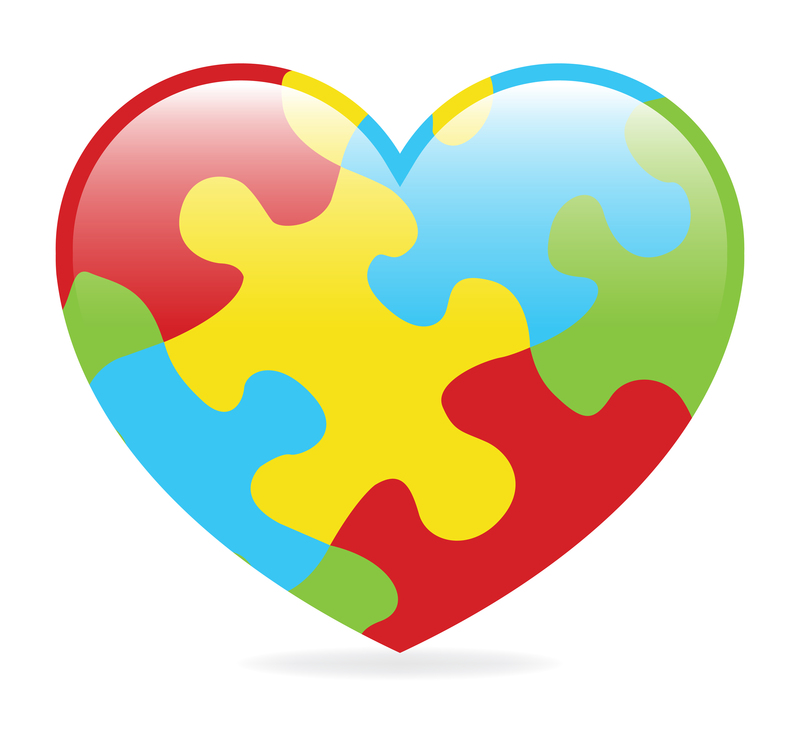 My son is severely allergic to milk protein, with an anaphylactic reaction. He has taken Biokult with no problems for 9 months. If you have Lymes you must look up information on Teasel it is a flower that when made into a tincture kills the spirokeet bacteria that cause’s Lymes. It is easily found on line and recommended by my homeopathic practitioner. In regards to the activated charcoal multiple please consider the following…. “A controversy on ingesting activated charcoal is based on the notion that it also robs the body of nutrients. According to several solid sources, this is misinformation. Pharmaceutical medicines, which tend to be toxic, are removed partially or wholly, and nutrients from synthetic vitamin sources tend to be removed also. But food and herbal sourced nutrients are left alone. However, it’s actually better to take the activated charcoal one to two hours away from food because food hampers the charcoal’s detox activity. This has been proven with animal testing. Thank you so much for letting me know! I didn’t realize that. My husband doesn’t regularly eat probiotic foods. So when he does have lacto fermented pickles or sauerkraut, he eats too much and then complains it hurts his stomach. i keep telling him that he needs to only eat a very small amount (even just starting with a bit of the juice), and then eat some every day, preferably every meal. My daughter and I eat a small side of fermented vegetable at each meal. And we each have a cup of kombucha at some point during the day. Once in a while we make a fruit kvaas, and we are also lucky that there is a local company that makes small bottles of beet ginger kvaas as well as lime kvaas. We actually will add a small amount of the kvaas to sparkling water. The lime kvaas in it makes it sort of taste a bit like a 7-up or Sprite, but just not so sugary/syrupy. Eventually we will get around to water kefir. She and I can’t do dairy, so I’m always on the lookout for good fermented foods for us. I want to let you know I had a similar reaction when I first started Biokult. I was taking about 1/6 of a capsule. I would have to skip days, and come back to it because of my reactions. As my gut healed on the GAPS diet, I was able to handle more and more. I am now up to 6 capsules a day, after a year and a half on GAPS. I feel great, my energy is great, my symptoms are down, and I haven’t gotten sick in a long time. I did almost quit, though, in the beginning. I have been wondering if I could use BioKult or similar product as a starter for yogurt to get very rich probiotic yogurt? Can you tell me if I’m crazy ? I don’t understand. In the same paragraph, you said you take BioKult, it works well for your family. Then you said you take Blue Bonnet, it’s worked well for your family??? I give the baby Blue Bonnet, the older kids and I take Biokult. I think that Biokult is too aggressive to use under 2-3 years old unless there’s a specific reason. Just because a high quality probiotic doesn’t show any noticeable change doesn’t mean it’s not working. I took Bio-Kult for years while on GAPS and never noticed a difference but I trust it worked–at first. After spending 100s and 100s of dollars on Bio-Kult I lingual neural tested it on my intestines and it showed it was not beneficial. An experienced Nutritional Therapist taught me something very important: the same supplements, especially probiotics, should not be taken for extended periods of time. They should be changed up so the body doesn’t get accustomed to it. Change up the brand/supplement line every few months. There are quite a few high quality probiotics on the market these days. Bio-Kult is just one of them. Some will work better for our guts than others, depending on our bio-individuality. Thanks for mentioning this; I, too, have heard practitioners suggest changing brands at least every six months. That said, my body just seems to like the soil-based Prescript-Assist best of all I try. Did taking out histamine foods help your symptoms? Thank you for the informative article. I have a question. Why would you buy a quality probiotic if you can get even more helpful strains of bacteria from food such as sauerkraut? This is something I wonder about – there are so many strains in fermented food, but we still see a different kind of improvement/die off from Biokult, so we keep using it. I have the opposite problem that probiotics exacerbate, not constipation but D. Any suggestions? It’s the same issue, it just causes different symptoms in different people. Go slow, detox baths, etc. How do you give a breastfed baby a probiotic? Did you mix it with breastmilk and use a bottle? I sprinkled some on their tongue, or started when I started solids. Mine never took a bottle, but if yours do that is also an option!